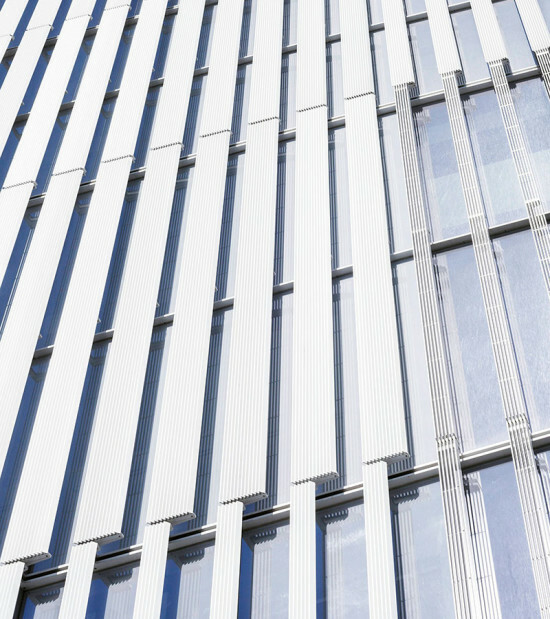 For Thomas Phifer, director of New York-based Thomas Phifer and Partners, there is no one best way to design a high performance building envelope. 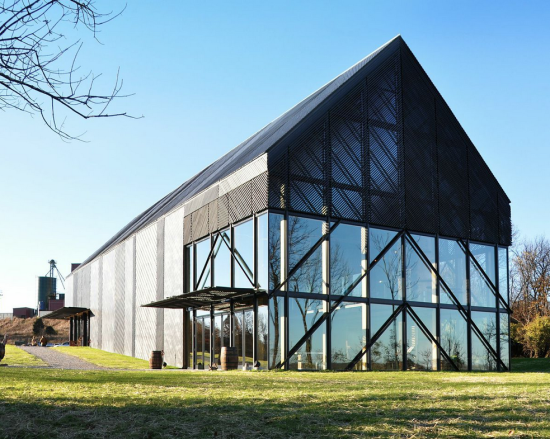 Phifer, whose recent work includes the Corning Museum of Glass expansion, will deliver the afternoon keynote address at next month's Facades+NYC conference. 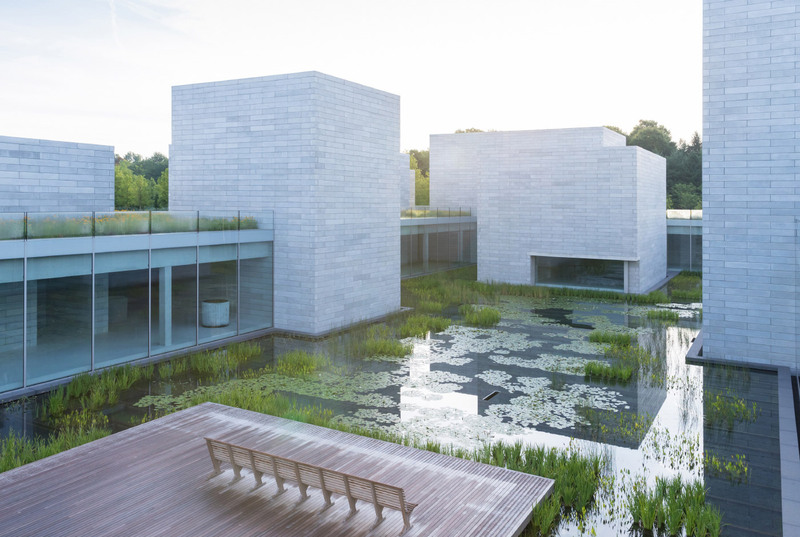 "Each facade has to do with the particular spirit and ethos of the building," said Phifer. "They each have a particular climate that they have to respond to; they each have a particular way of dealing with the context." As a result, he explained, the firm employs a wide array of materials, from large concrete blocks to reclaimed brick or window walls with exterior sunshades. "Our work doesn't focus on one particular material or one attitude toward dealing with the environment," explained Phifer. "We just take each particularity and put them together to try to make an enclosure." As an example, Phifer cited the United States Courthouse in Salt Lake City. "We wanted the building to be all about light, since light can foster that sense of enlightenment," he said. 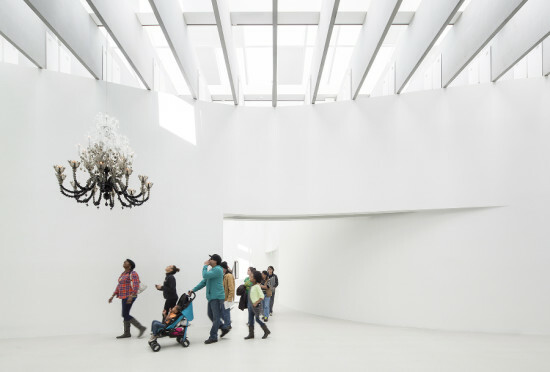 The architects aimed to flood the building's interior with natural daylight, moreover, "so that all of the occupants had a sense of the changing atmosphere of the day." They designed a calibrated louver system for each facade to reduce the radiant heat entering the building while enhancing the building's aesthetics. The shades were "developed in such a way that the louvers hold light," said Phifer. "It's not about reflection or absorption; [the facade] embodies light through the design of the micro-louver. It glows during the day with what turned out to be a kind of metaphor for enlightenment." To hear more about Phifer's recently-completed and pending projects, and to catch up with other leaders in facade design and fabrication, register today for Facades+NYC. Warsaw has risen. 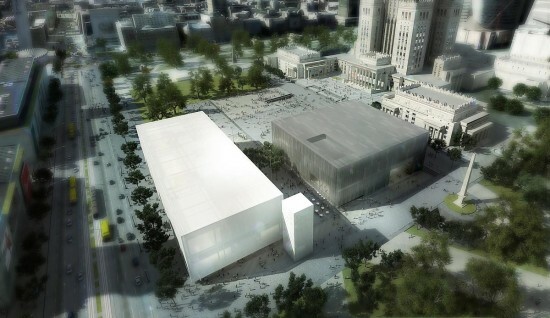 New York–based practice Thomas Phifer + Partners has released its plans for a new 160,000-square-foot museum, a 100,000-square-foot theater, and an outdoor forum in Warsaw, Poland. "The city must completely disappear from the surface of the earth and serve only as a transport station for the Wehrmacht. No stone can remain standing. Every building must be razed to its foundation." Those were the chilling words of SS chief Heinrich Himmler in October, 1944 as Nazi forces in Germany organized the "Planned Destruction of Warsaw." Specialist engineers were deployed to demolish house after house—paying particular attention to historical monuments. An estimated 10,455 buildings, of which 923 were historical buildings were destroyed amounting to nearly 90 percent of Warsaw's architecture. Since the dark days of the second world war, the Polish capital has been on a long road to recovery, both socially and culturally. To save their city, residents after the war embarked on a five year project which UNESCO says saw a "near-total reconstruction of a span of history covering the 13th to the 20th century." Thomas Phifer+Partners' project is special. Warsaw has, of course, been developing, and rapidly so. but the majority of these projects are not architecturally unique to the city. Instead they have been the product of financial inflows and corporate demand, which does little to aid Warsaw's architectural diversity. Connecting the buildings to Defilad Square and Świętokrzyskie Park, the new Museum of Modern Art and TR Warsaw Theater by Phifer's practice are radically different from the context of their surroundings. A marked shift in typology and style, the designs look to both culturally and architecturally enliven the square in the city center, engaging the public with the art and performances inside. This is achieved via the use of an open auditorium and educational spaces of which can be accessed by visitors on all sides. The museum makes use of tactile materiality the firm described as "simple and honest." This is said to be inspired by abstract works of art. Wrapped in white scrim, the facade is intended to capture the light and shadows of the passing day. Meanwhile the theater emphasizes its permanence with a cast-metal facade. Such a contextual change in materiality offers a distinct abstraction in color tone and texture and perhaps indicates that Warsaw has entered a new era of development, design, and architectural identity. On the evening of Thursday, November 13, temperatures in Austin, Texas, dropped below freezing. In spite of the fact that most locals are unaccustomed to this degree of frigidity, more than 1,000 people turned out for Creek Show: Light Night 2014. 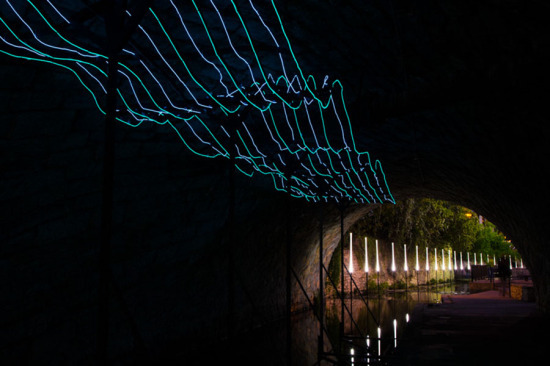 The event, which ran from five in the evening until midnight, celebrated the unveiling of a series of light installations along Waller Creek between 5th and 9th streets. Organized by non-profit group Waller Creek Conservancy, Creek Show is a prelude of sorts to the ongoing plan to transform the flash-flood prone waterway into a chain of public parks designed by Michael Van Valkenburgh Associates and Thomas Phifer and Partners with lighting design by Linnaea Tillett. It features five "illuminating works of art" by local architects and landscape architects, including Baldridge Architects, Design Workshop, Jason Sowell, Legge Lewis Legge, and Thoughtbarn, which turned in High Water Mark (pictured at top). Located under the 7th Street Bridge, High Water Mark is composed of 100-foot-long undulating, electroluminescent wires suspended 20 feet above the waterline. Hidden Measures is by University of Texas landscape architecture professor Jason Sowell. Sowell stenciled messages in photo luminescent paint along the creek that describe the waterway's physical dimensions and hydrologic infrastructure. Baldridge Architects set up a colonnade of sorts of LED tubes called Tracing the Line. The succession of vertical lights rise out of the creek, indicating its path through this segment of downtown Austin. 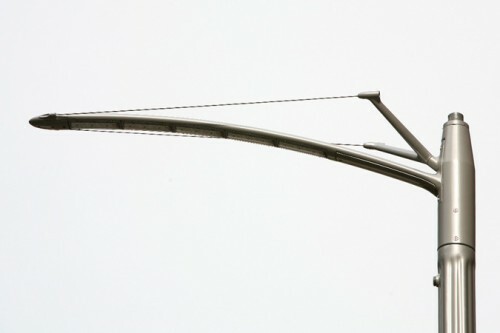 Legge Lewis Legge's Light Bridge is made up of a rope and hanging electroluminescent wire that arc over the water, suggesting a bridge. Flow by Design Workshop (below) is a series of tarps strung across the creek that are illuminated by color changing lights. The tapestries roll and flutter in the wind, emulating the coursing of the water below.